Design impressive web projects with this awesome bundle of exclusive PSD templates. Grab these PSDs absolutely FREE! 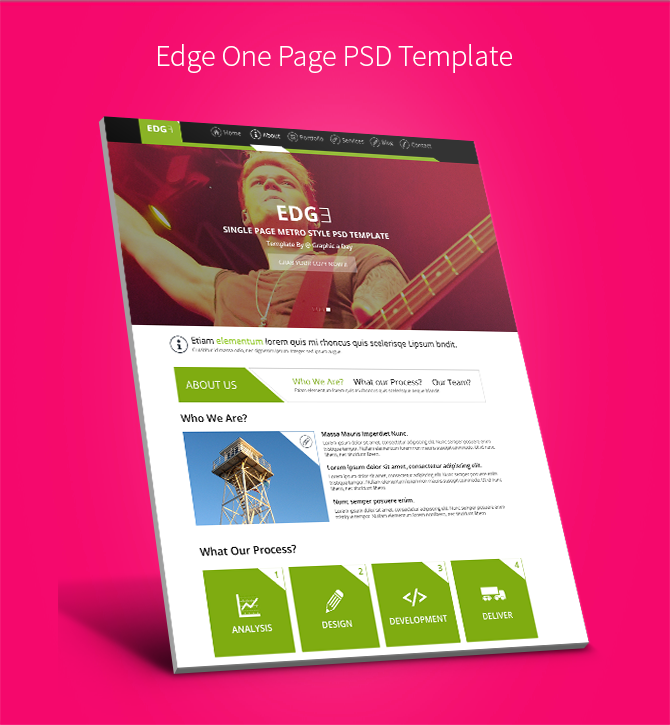 Edge single page PSD template is based on Bootstrap’s 12 column 980px responsive grid template. It can be used for designer's portfolio, photography page, branding company, designing company and much more. 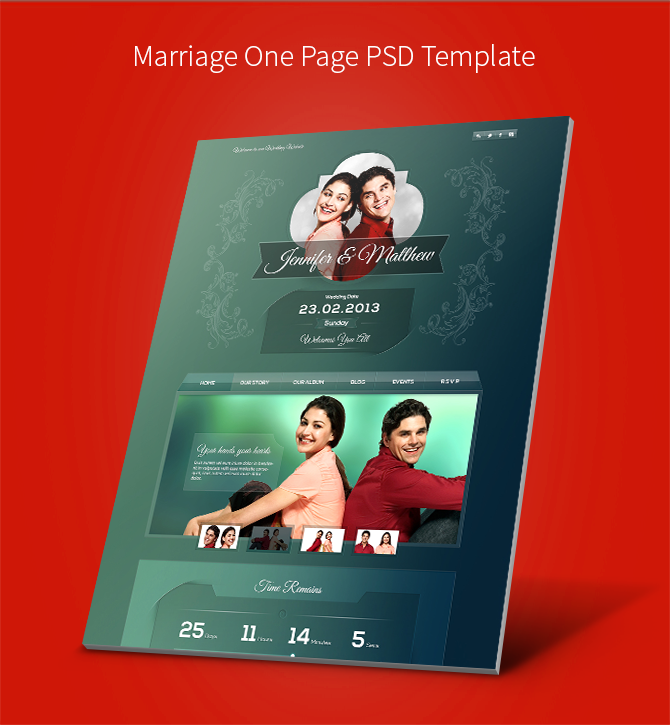 Marriage invitation single page template is based on Bootstrap, 12 column responsive grid template. You can also use this template for other invitations as well. One unique fully layered PSD file with multiple layer styles. Active and hover stats of the PSD. Guides for user in the file itself. Grab this Freebie bundle of 2 PSD templates today!